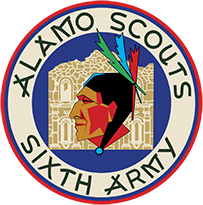 Awards | Alamo Scouts Historical Foundation, Inc. In less than seventeen months in the field, the Alamo Scouts earned 118 combat decorations, including 44 Silver Stars, 33 Bronze Stars, 4 Soldier’s Medals, and numerous Purple Hearts and other awards. The Alamo Scouts campaign ribbons include: The Asiatic-Pacific Campaign Medal, The World War II Victory Medal, The Philippine Liberation Medal, and The Philippine Independence Medal. Other awards include the Combat Infantry Badge and Special Forces Tab. Two teams of Alamo Scouts were awarded the Presidential Unit Citation for their role in the liberation of POWs at Cabanatuan. Some members of the Alamo Scouts were also awarded foreign decorations for their part in the release of civilian internees at Cape Oransbari, D.N.G.